Catholic Cemeteries, in the Diocese of Buffalo, trace their origins to 1934 when Bishop William Turner appointed Msgr. James F. Hogan the first director of Cemeteries. Msgr. Hogan concentrated on Holy Cross Cemetery in Lackawanna, Mount Olivet Cemetery in Kenmore, Holy Sepulchre Cemetery in Cheektowaga and Gate of Heaven Cemetery in Lewiston. Msgr. Joseph J. Sekelsky, who succeeded Msgr. Hogan, established Assumption Cemetery on Whitehaven Road, Grand Island in 1955, and Queen of Heaven Cemetery on Tonawanda Creek Road in the Town of Lockport in 1960. In the history of cemeteries in the diocese, it is interesting to note that a few Catholic burials took place in the early days (1820's-1830's) at land given to the diocese by Louis Le Couteulx at Main and Edward Streets in Buffalo. After the 1832 cholera epidemic in Buffalo, burials took place in East North Street near Masten. This plot, consecrated by Bishop John Timon in 1849, was quite small. When Bishop Timon found it necessary to find new space, he did so at Holy Cross Cemetery in South Buffalo. 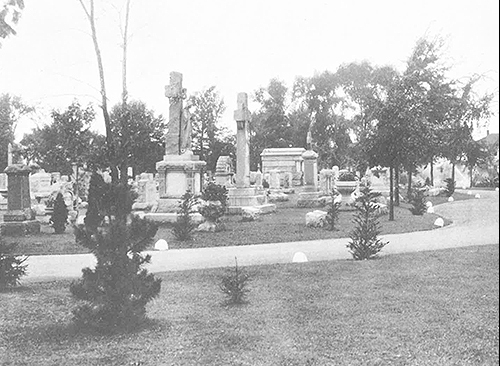 As the city of Buffalo grew, cemeteries were established at the outer rims of the city line. Some city parishes, such as St. Adalbert, located cemeteries in rural settings away from the city. Catholic Cemeteries, with six locations, offers multiple burial options and scenic locations south, east and north of the city of Buffalo. During the 1970s, a number of operational changes were implemented to conform with contemporary cemetery policies. The concept of interment chapels was also introduced. The 1980s and 1990s saw new sections developed and full utilization of land achieved through modern design and proper landscaping. 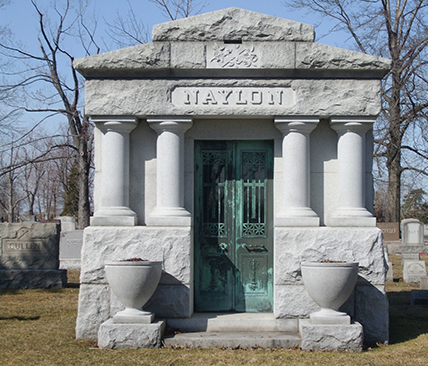 Mausoleums gained in popularity to offer even more burial option.